Key Difference: Olive oil is obtained from the olive fruit. It is mainly classified on the basis of processing and qualitative features of the finished product. Virgin oils are extracting by using mechanical extraction methods whereas refined olive oils make use of chemical and physical extraction methods. 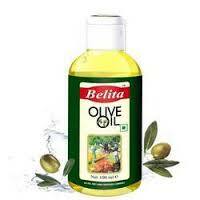 Olive oil is obtained from olives which is a fruit derived from a small tree belonging to the family Oleaceae. Whole olives are pressed in order to obtain oil from them. Olive oil is used in different fields like in cosmetics, pharmaceuticals, cooking, and many more. It is known for its great health benefits. It provides omega-3 monounsaturated fatty acid and antioxidants. There are numerous ways to differentiate olive oil on the basis of their nutritional content, flavor, processing method, harvesting method and packaging method. 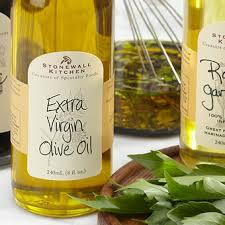 Extra Virgin Oil – This is the highest grade of olive oil, which is known for its delicate flavor. This oil is unrefined and is obtained from the first pressing of the olives. International Olive Oil Council has established some standards, according to which an extra virgin can have only up to 0.8 percent of free acidity. The term virgin means that this oil has been derived from fruit of the olive tree only by using such methods which do not change or spoil the oil and its quality. It means that methods like chemical interaction, solvents mixing, radiation effect or microwave effect, etc. are not at all used during the processing of these oils. These are pressed by using cold pressed techniques which makes use of only cold pressure, and due to which a low acidity level is produced in these oils. It has a fruity delicate taste and its color varies from pale yellow to bright green. It is best when to be used for dipping or for dressing salads. Virgin Olive Oil - They come next to Extra virgin olive oils . They are known for their good taste. The acidity in these olive oils is below or equal to 2percent. It is also known as virgin as there is no inclusion of refined oil. These are good for cooking. This oil is less expensive than the Extra virgin olive oil. They are also obtained from the first pressing like Extra virgin oils. This oil is also used in the same way as extra virgin oil. It provides an authentic flavor when used for cooking Mediterranean dishes. However, it is not recommended for deep frying. It is made by olives which are little more ripened in comparison to those used for making extra virgin olive oil. Refined olive oil – These oils are obtained from virgin olive oils. The refining is done by such methods which do not bring any change in their initial glyceride structure. The acidity is not more than 0.3 grams per 100 rams in the case of refined olive oils. This oil is actually tasteless. The odor of this oil is not pleasant and the flavor is also compromising in many terms. These are refined versions, and therefore they are not titled as virgin oils. Unlike virgin oils, they may undergo processing methods which include heat, chemical interact or filtration. They have a longer shelf life, and this advantage seems to be the only one favoring these oils. 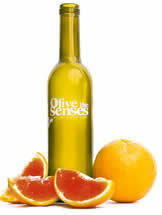 Olive Oil –This oil contains both refined and virgin oils, and therefore is concerned to be a blend of both. The proportion of virgin olive oil and refined olive oil can be different depending up nth flavor desired by the manufacturer. The acidity is equal or less than 1.0 grams per 100 grams. 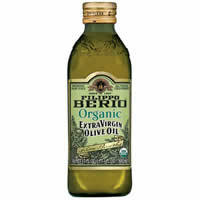 As this oil contains refined olive oil, it is also place in the category of refined olive oil sometimes. It is transparent with hint of yellow color in appearance. It has a mild aroma and taste. It is also known as pure olive oil. Pomace Olive Oil - This is made by that part of the olive which is left after all its water and oil content has been extracted by using various techniques like pressuring or centrifuging. Some solvents are used in order to collect the little residual oil. This oil lacks Olive oil’s vitamins. It is usually blended with virgin olive oil so that people can use it as an option. It is however still considered good for high heat cooking. These oil products have been criticized sometimes for containing high levels of contaminants known as polycyclic aromatic hydrocarbons (PAHs), and due to which governments like Spain have set legal limits of PAHs in olive oil. 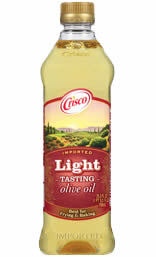 Light Olive Oil – This oil is basically a mixture of refined olive oils which are obtained from inferior grades of olives. Many people confuse the term light with the assumption that it contains less calories. However, it contains same amount of calories as present in other olive oils. It is colorless and tasteless. It is usually admired for cooking with high heat like deep frying etc. It is low in taste, aroma and nutrition. The word light refers to its mild flavor and taste. It is also known as mild olive oil. Organic Olive Oil - This refers to the production of olive oil, without any involvement of pesticides or chemicals in the farming process. It needs a certification from an overseeing agency to be labeled as the organic olive oil. These are usually expensive than the regular conventional olive oil. Olives are also crushed by using cold pressing methods. These olive oils are admired by their admirers mainly for ecological issues rather than taste or flavor. The regulations and rules for labeling an olive oil as organic may slightly differ from one country to another. Fused/Flavored Olive Oil – These oils contain some additional flavors in them. Fused olive oil refers to that oils in which olives and fruits were pressed together providing the rich flavor of olives and fruits. On the other hand, flavored olive oil is that in which the flavors are added after the stage of pressing. Fused olive oils are less common. These are used in a variety of salads.